Just about every gamer knows his music. Whether it’s the soundtrack to Streets of Rage or the music to Shenmue, Yuzo Koshiro has been a mainstay of the gaming industry since the late 1980s. He has scored dozens of games, including some you may not even realized were his. A legend among Sega gamers, Koshiro’s skills and talent are among the best in the industry. Born in Tokyo Japan on December 12, 1967, Koshiro was introduced to music early. At the age of three, his mother Tomo Koshiro (a concert pianist) taught him to play the piano and by eight, he was studying under composer Jo Hisaishi (famed for his work with Hayao Miyazaki’s Studio Ghibli on many anime classics). Within five years, Hisaishi had taught young Yuzo to compose for and play both the violin and the cello. By the time he reached high school, Koshiro had a developed a growing interest in video games and began to work with friends, composing music in the Microputer Basic Magazine under the moniker “YK-2.” His music, deeply inspired by greats such as Mozart, Beethoven, and Bach; garnered the attention of game developer Nihon Falcom, which recruited him at age eighteen upon hearing a demo he had brought them (he had seen their classified ad in a PC magazine). His first work was Ys: Vanished Omens, for the PC-8801. Contrary to popular belief, the Turbo Grafx-16 CDROM version of Ys was not done by him. The original soundtrack was rearranged for the CD version by Ryo Yonemitsu. However, since it was standard Falcom practice to credit the sound programmers and not the composers themselves, Ys is listed as the work of Falcom Sound Team JDK. While at Falcom, Koshiro also composed the music for Xanadu Scenario 2, Romancia, Sorcerian, Dragon Slayer IV, and Ys II. By this time, he had acquired enough experience to begin freelancing. His first major hit was Revenge of Shinobi (Super Shinobi in Japan), which was the sequel to the hit coin-op Shinobi and also a Genesis launch title. The game’s incredible soundtrack combined several different styles of music, ranging from fast-paced techno to slow, mystical ballads. Koshiro came up with all the songs himself, though the song Ninja Step was inspired by Prince’s Batman soundtrack. 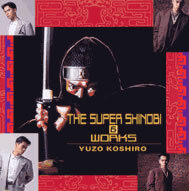 The piece for the first stage in the game, The Shinobi, set the standard for the rest of the score, which brought an already great adventure to even greater heights. Revenge was a runaway hit and Yuzo Koshiro suddenly found himself to be a star. Though he worked a bit on games for other companies, namely Enix/Quintet’s Actraiser and Hudson Soft’s Super Adventure Island, Koshiro found himself returning to Sega. The two follow ups to Revenge of Shinobi had been scored by other people (to the chagrin of many a gamer), and its original team was now working on another title, called Streets of Rage (Bare Knuckle in Japan). 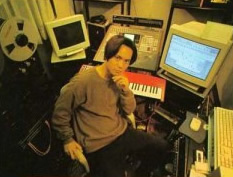 Koshiro was hired to compose the game’s soundtrack in 1991. To find inspiration, he visited several clubs and listened to many dance artists, like Soul2Soul, Maxi Priest, and Black Box. The result was a score that was unlike any other heard at the time. SoR‘s booming bass and infectious melodies were crystal clear and played for quite some time before looping, which was impressive when one considers the tiny cart size it used. This was a game to be played in stereo; neighbors be damned! About the same time he was composing the music to Actraiser, Koshiro, along with his mother and sister Ayane (a game designer) got together and formed a small, independent company called Ancient. Their first work was also for Sega, in the form of the Game Gear version of Sonic the Hedgehog. Ancient continued to compose soundtracks for several other games, including Streets of Rage 2 & 3 and Actraiser 2, and released their first original game in 1994. Oddly enough, Beyond Oasis was an action/RPG with a surprisingly subdued soundtrack. A sequel, Legend of Oasis, was released for the Saturn in 1996, and Ancient sort of fell off the radar afterward, as most of their work was being left in Japan. Culdecept for the Saturn, as well as Card Captors Sakura for the Playstation, were successful in their native land but never made it stateside, despite the sudden popularity of Card Captors on U.S. television. Ancient continued to work on games for multiple systems, and Yuzo scored several titles in relative obscurity until he once again came into the public eye in 2000 for his work on Shenmue for the Dreamcast. the period afterward was once again pretty quiet, with only a few notable releases, like Wangan Midnight for the Playstation 2 in 2002 and most recently Car Battler Joe for the Game Boy Advance. Ancient’s small staff (about 15 people) are not obligated to all work with a single company at a given time, and this puts a significant strain on their output. It remains to be seen exactly where Yuzo Koshiro’s work will take him next. Many gamers, clamoring for a new installment in the Streets of Rage saga, are hoping that a sequel is indeed in his plans. Unfortunately, there is little chance of a new game ever being made (find out why). It seems more likely that another Oasis title could be made than anything else (on the GBA, please! ), as it is a license of which Ancient was completely in control. Wherever he may turn up though, his fans will surely follow. Chakan. Yuzo Koshiro Biography. SegaFans. 01:01:04. Davis, Jeff. Turbo Duo: Ys Books I & II. Gaming Intelligence Agency. Davis, Jeff. Yuzo Koshiro Interview. Gaming Intelligence Agency. Discography. Game Music Base. Mirsoft.com. Rob “Dire51”. The OPCFG Interview with Yuzo Koshiro. OPCFG. TNL Staff. TNL Developer Spotlight: Ancient. The-Next Level. 03:11:03.